For the last three months, we have been developing our new series of community dialogues as a part of our Building Stronger Communities project. Guftagu, which means interaction in Urdu, is aimed at Pakistani Muslims and Christians. There has been a lot of conflict between these groups in Pakistan and this has presented some challenges for these communities in Nottingham. Our plan for this project is to build relationship between these two groups through regular dialogues and activities. 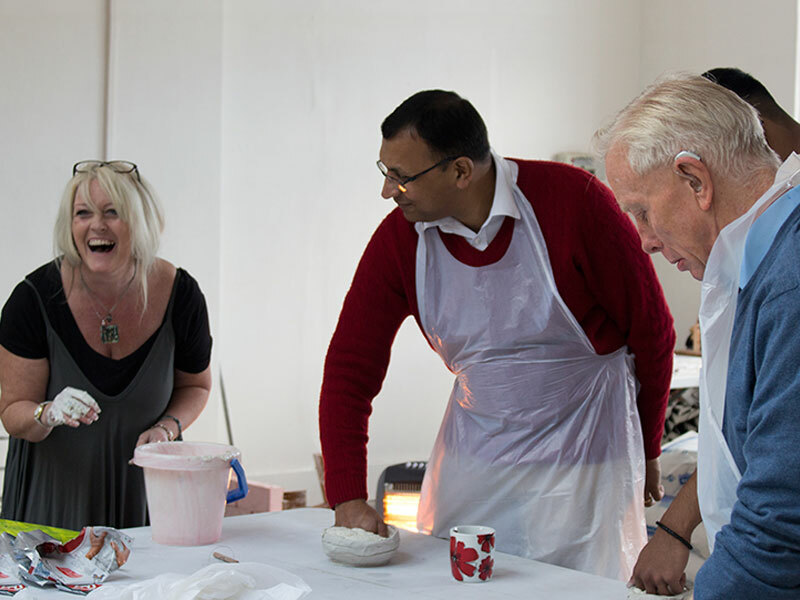 Last Saturday we visited Surface Gallery to attend a casting workshop led by Jane Smith – one of the resident artists. Using dental materials, participants first created moulds of their hands which were then filled with plaster to produce a very detailed cast. All participants enjoyed the workshop, as they have never had opportunity to try casting before. One member of the Christian group has already expressed an interest in using this newly gained skill to produce their own Christmas tree decoration! Conversation that accompanied the workshop was relaxed and included story-telling, poetry and sharing of cultural experiences.